Why, if it isn't Jack O'Lantern! These plush slippers work for Halloween and all year 'round. Why, if it isn't Jack O'Lantern... on your feet! 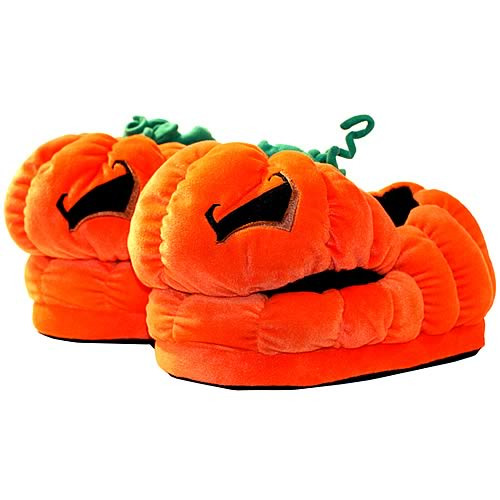 Be the first on your block to wear this sporty and comfortable pair of Jack O'Lantern Plush Slippers. Sure to be a spectacular addition to any costume, and the perfect attire for any day of the year! Measuring about 12-inches long, one size fits most up to a men's size 12. Limited edition - order yours today!